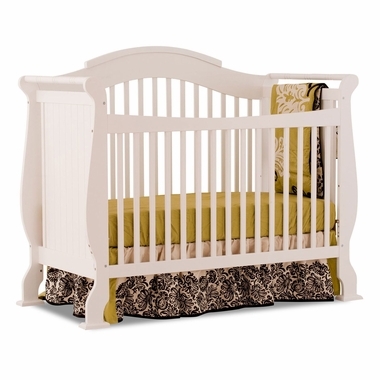 Your child's nursery will have the prettiest curves and accent style with the Storkcraft Valentia Fixed Side Convertible Crib. 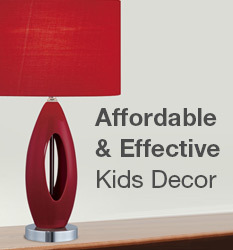 The elegant White finish adds a flair of sweet dreams for every little girl. It is a sleigh style with a beautifully arched back rail. The comfortable mattress can be adjusted to three levels providing safety height for your child and there is more safety with fixed rails all around. This crib is the best sleeper haven for your child that converts to toddler bed and daybed when ready and later to a full-size bed (full-size bed rails not included.) A headboard is created with the stunning sleigh back rail with front rail as footboard. It is a delightful focal point for the nursery and is made of quality solid wood and wood products with finish that is non-toxic. I am so in love with this crib. It's exactly what I wanted and for such a great price. Couldn't be happier!